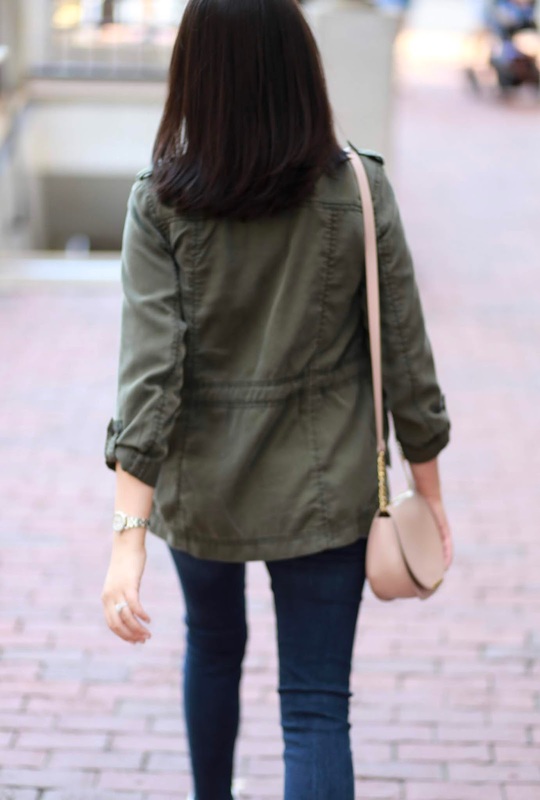 I’m excited to partner with LOFT to share a few versatile fall transitional outfits to wear at the office or styled more casually on the weekends. Everything including new arrivals are currently 40% off during the New + Now sale (use code NEWNOW)! 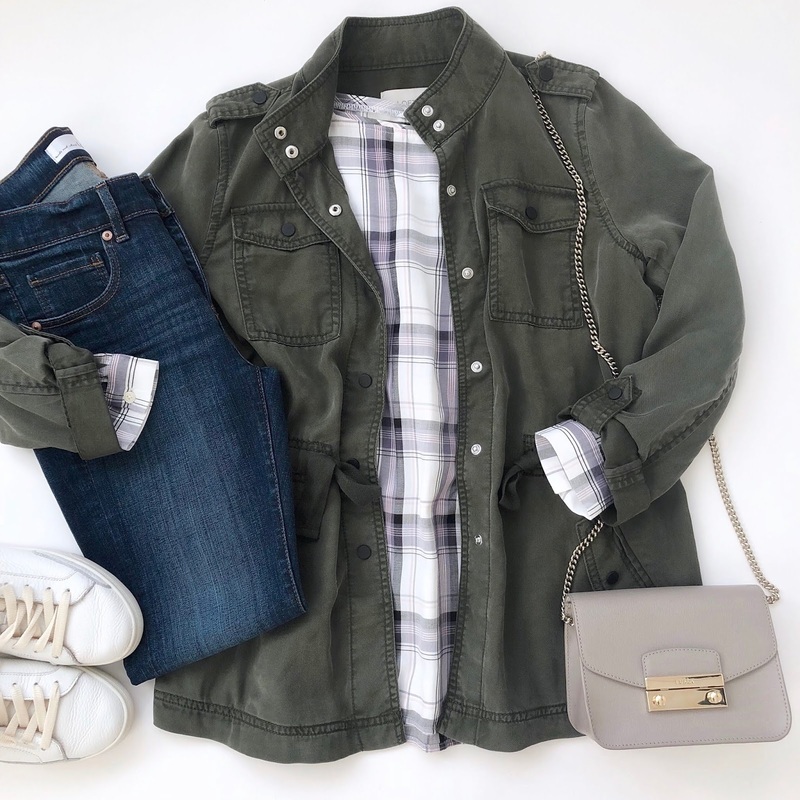 This season LOFT has incorporated the latest trends such as purple (shop lilac hues here), fall florals and plaid, and menswear inspired blazers. 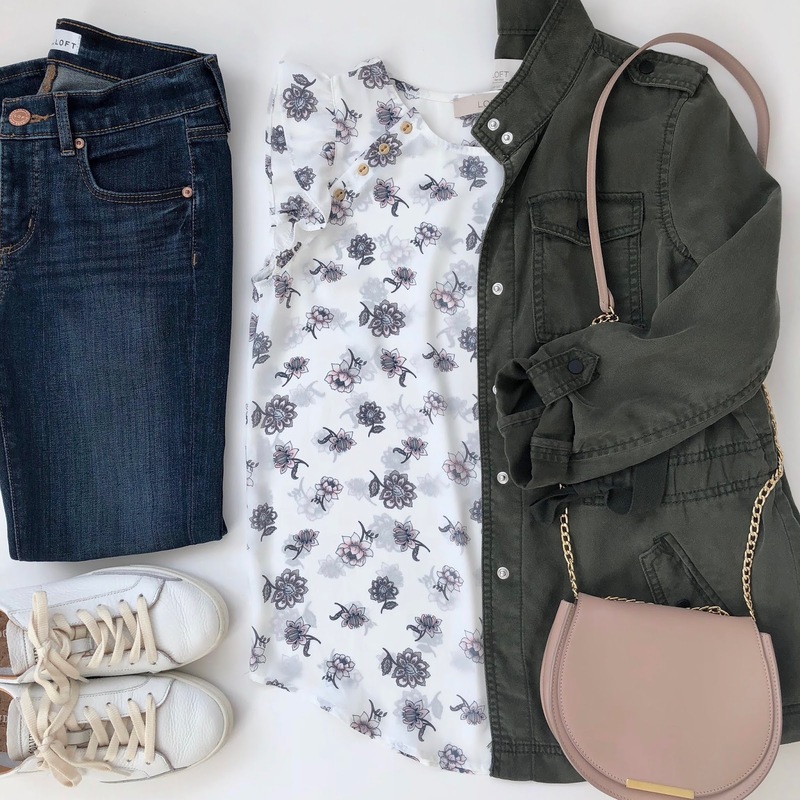 I love all things grey and this floral print sleeveless blouse (I also have the micro stripe version) pairs well with these dark blueish grey skinny bi-stretch ankle pants. The pants have functional front slash pockets that don’t bulge out when you sit down. 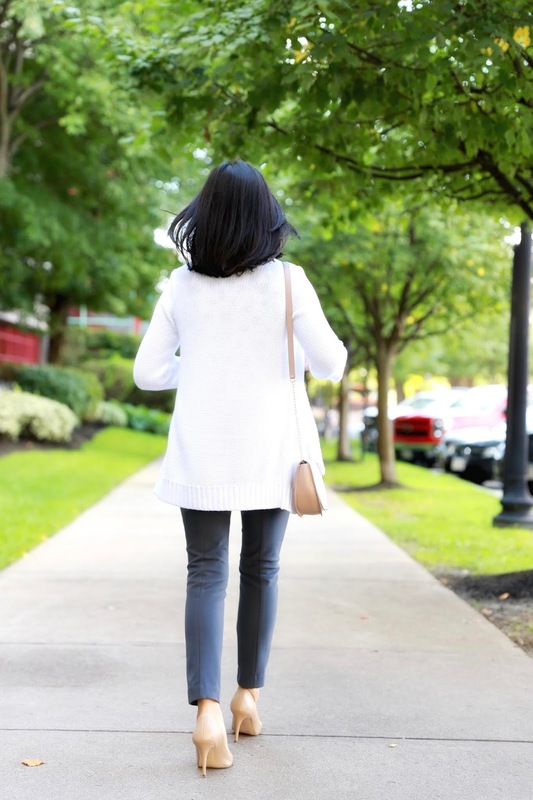 I reached for this comfy ribbed trim open cardigan (a repeat of a past season bestseller) but you can also style this outfit with a modern chic grey blazer. 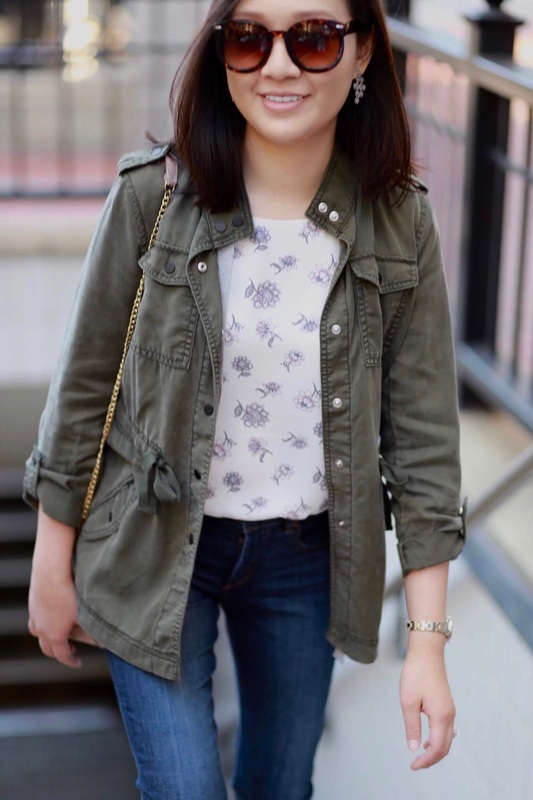 You can also dress down the floral print top with a utility jacket and jeans for the weekend. 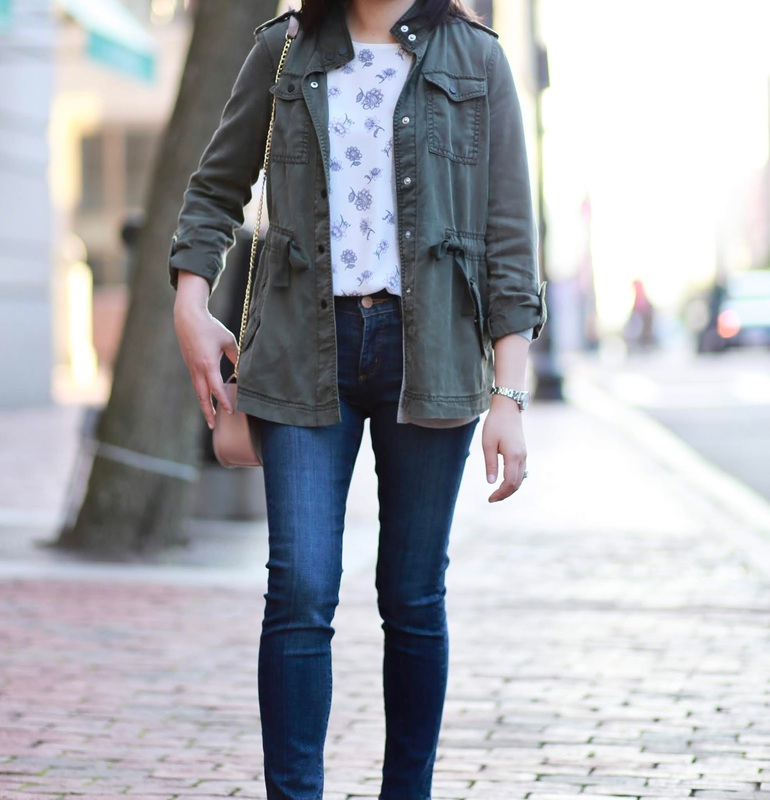 These modern skinny jeans are another best seller at LOFT that always make a comeback in slightly different washes. They’re currently available in a classic mid-wash that is work appropriate with no rips or distressed details. 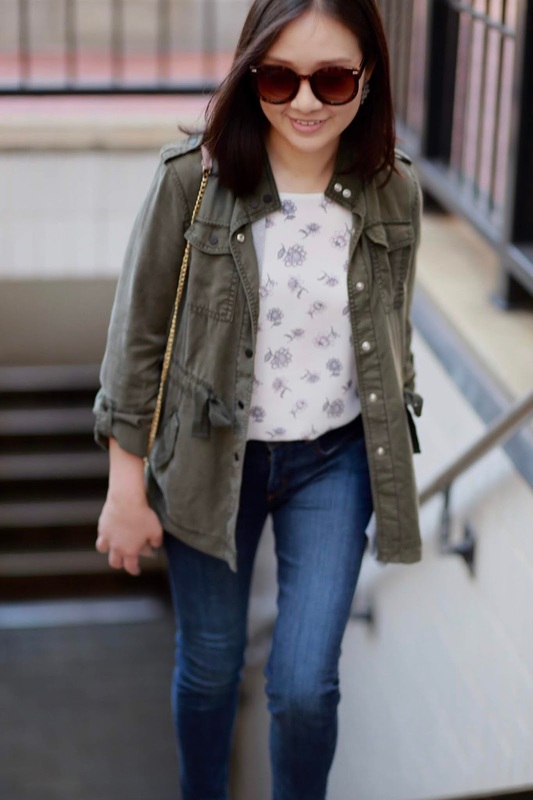 Here are two other outfit ideas I love and I swapped out the floral shell for this on-trend plaid blouse which looks great with pants or jeans.